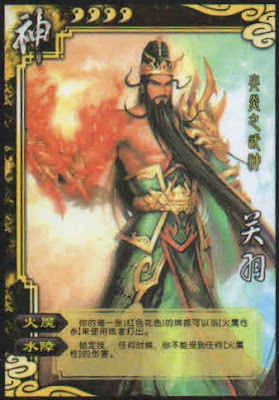 Guan Yu can use any red card as a fire attack. Guan Yu cannot be damaged by fire damage. "Water Shield" is not an option. Under no circumstances can he be damaged by fire. If Guan Yu is locked in Chains and fire damage is dealt. He is not damaged so remains in the Chains after all the other effects of the damage.